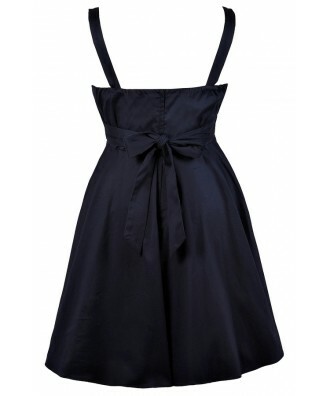 You have added Cheerful Occasion Fit and Flare Dress in Navy- Plus Size into shopping cart. This fun, retro style dress is sure to delight! 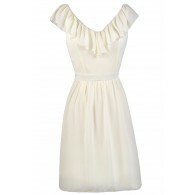 The Cheerful Occasion Fit and Flare Dress is crafted of a substantial cotton blend fabric. The foldover fabric detail and princess seams at the bust combine to create a flattering silhouette. The banded empire waist gives way to a fit and flare skirt that adds to the retro vibe. The banded waist of this dress continues around to the back, forming a fabric sash that can be cinched and tied into a bow. An invisible back zipper completes this look. 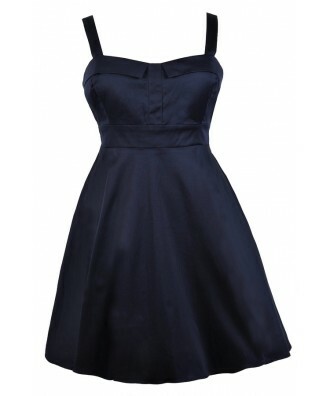 The Cheerful Occasion Fit and Flare Dress would be perfect paired with pumps or wedges and some fun jewelry. Details: Made in USA. Invisible back zipper. 97% cotton, 3% spandex. Dry clean only. 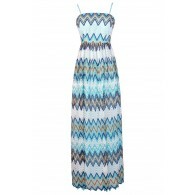 Size 1XL measurements: Length from top of shoulder to hemline: 39”. Bust: 40”. 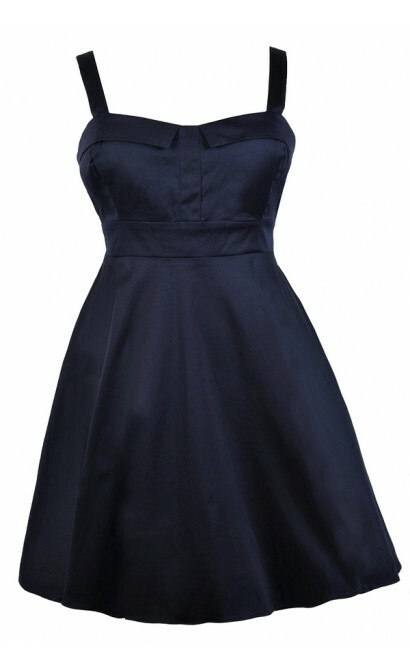 You have added Cheerful Occasion Fit and Flare Dress in Navy- Plus Size into Wishlist. 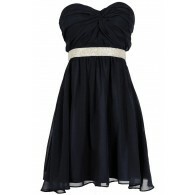 You have added Cheerful Occasion Fit and Flare Dress in Navy- Plus Size for Stock Notification. 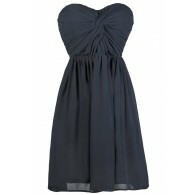 You have set Cheerful Occasion Fit and Flare Dress in Navy- Plus Size as a loved product. 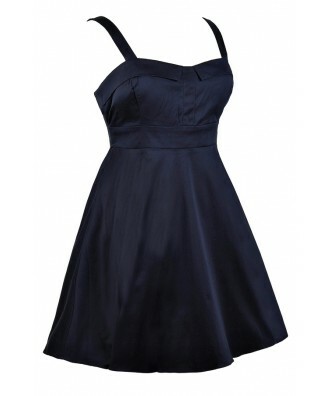 You have removed Cheerful Occasion Fit and Flare Dress in Navy- Plus Size as a loved product.